The American Eskimo Dog breed was developed in the United States from the Spitzes of Northern Europe. They usually have distinctive black noses, lips and eyelids. As a Nordic-type dog, Eskies have a double coat, plume-like curled tail, and erect triangular ears. They are often mistaken as a small or` mixed Samoyed. The Eskie coat naturally repels dirt and odor. The amount of coat can vary with age, health, nutrition, and temperature. Eskies generally shed twice a year with the change of the seasons. There is some year round shedding, which is minimized by proper diet and grooming. Regular brushing is recommended to prevent matting. 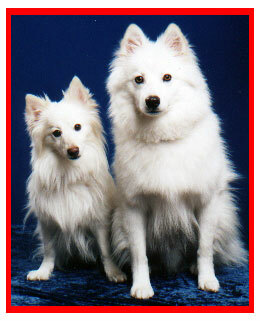 American Eskimo Dogs are inherently companion dogs. They are happiest when they are with their guardians, and when treated as a family member. Eskies are intelligent, loving, and can be wonderful watchdogs. They are a long lived breed, some living 18-20 years. Eskies are quick to alert the family of the arrival of strangers at their house. Not all Eskies are but properly socialized they can be excellent with children. Eskies require human companionship and loving attention. They are not a dog to be ignored. Left alone too much they may become bored, destructive, and bark excessively. 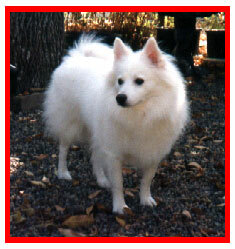 Harsh training techniques are inappropriate for American Eskimo Dogs. They are a challenging, mentally active, and delightful breed. 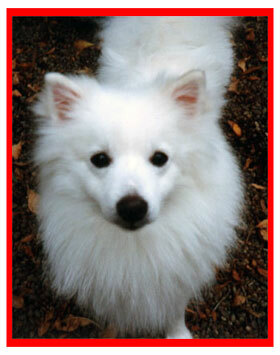 With positive reinforcement training and attention, American Eskimo Dogs learn quickly and are eager to please.